When spending time with family for Christmas, the most difficult issue it to handle the awkward questions from your relatives while having a dinner. Yes, all those questions you want to avoid: from “Are you dating someone?” to “When will you find a real job?”, and finally “So tell us again about the weird things you do for life”. Introducing people to Bitcoin can often be incredibly difficult. Being the Bitcoin fanatic you are, how do you keep yourself from being a little over-enthusiastic during a few glasses of wine at the Christmas dinner? Have no fear, we’ve got you covered with a bunch of advice how to survive being super-friendly and extremely polite telling about Bitcoin. While most people have heard of Bitcoin by now, bugging them with the complexities and details isn’t quite necessary as most already see it as “internet money”. To start off with, prove to them that, despite being contrary to popular belief, Bitcoin is not the currency of criminals. Sadly, many have heard of Bitcoin in connection with a Silk Road case, but that’s not the only thing Bitcoin can do. PayPal and Microsoft are already trying to put their feet into Bitcoin, so if huge companies are eager to take a flyer, why do people still have any concern? So you’ve informed them of Bitcoin’s slight misconceptions–now is a good time to include a few of the cons. Considering we’re attempting to provide useful information on Bitcoin without being over-enthusiastic including cons regardless of their seriousness is something I highly suggest. Whether it is the price of Bitcoin continuously fluctuating or the threat of regulation, remember to answer each question you receive with complete honesty, regardless of your beliefs. As for pros, I’d say the essential must-tells would have no fees when traveling, no overdraft limit that you’d have a credit card and general simplicity when it comes to using Bitcoin. A problem I personally believe a lot of people seem to make, is referencing the potential uses of Bitcoin in the future, and not it’s current uses. 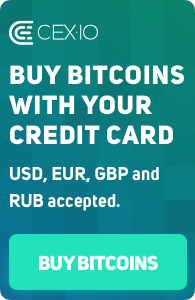 Most people will not be interested in a currency they can barely use, so informing them of sites like Pock.io (a British site that allows the purchasing of gift cards from Amazon, to supermarkets) and Newegg (an electronics store) that support the use of Bitcoin purchases is an ideal option (Read more here). So there are the pros and cons of Bitcoin, but what do you like about Bitcoin and think may need improving? A few personal opinions on what you like and dislike about the digital currency is a great way to let your family and friends make their minds up. Perhaps the long wallet sync times are the bane of your existence, but you’re greatly open to the decentralization Bitcoin has to offer. With it being the festive season, spreading the wonderful ways of how Bitcoin has helped others is a great way to keep up the Christmas/ heartwarming spirit while remaining unbiased. http://www.bitcoinnotbombs.com/ – A site dedicated to clothing the homeless using Bitcoin donations. http://www.fr33aid.com/ – A site dedicated to volunteers helping others with their medical knowledge. http://bitgivefoundation.org/ – Helping the environment and those that are less fortunate in other countries. Although I have only listed three charitable sites that accept Bitcoin donations, they all have not forgotten those that are less fortunate than us this Christmas.